We rarely buy store-bought salad dressings. Making them at home is so easy, and saves a lot of money in the long run! This parmesan vinaigrette requires few ingredients, and is very flavorful. 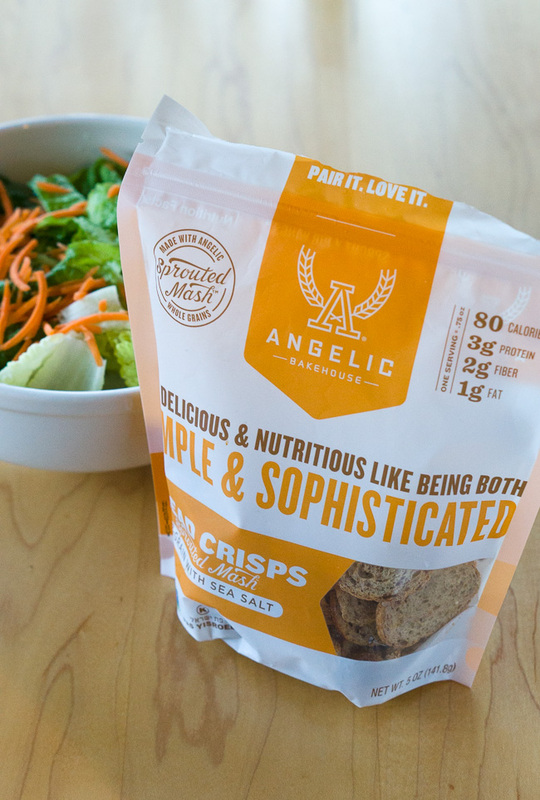 I used pre-shredded carrots to save time, and threw some Angelic Bakehouse bread crisps on top for some carbs and extra crunch. These bread crisps don’t take away from the flavorful dressing, and add a nice texture to this salad. I got them in my September Degustabox. Degustabox is a monthly surprise subscription food box that contains 10-15 food products delivered right to your door. Shipping is free. It is so much fun getting to try new products in my box that I have never seen at the grocery store before. I also get a lot of my recipe inspiration from these new products. 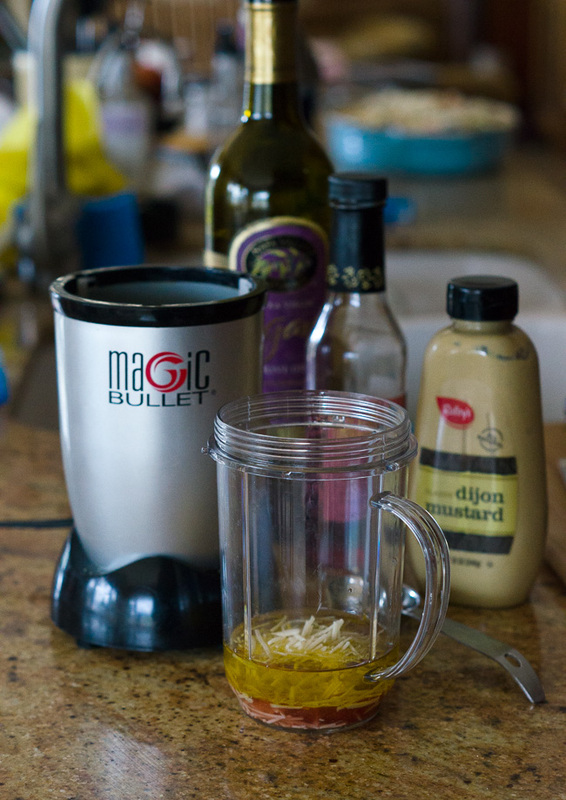 Hope you enjoy this easy, yet delicious, salad dressing made from scratch! Add all ingredients except carrots, romaine and bread crisps to a blender. 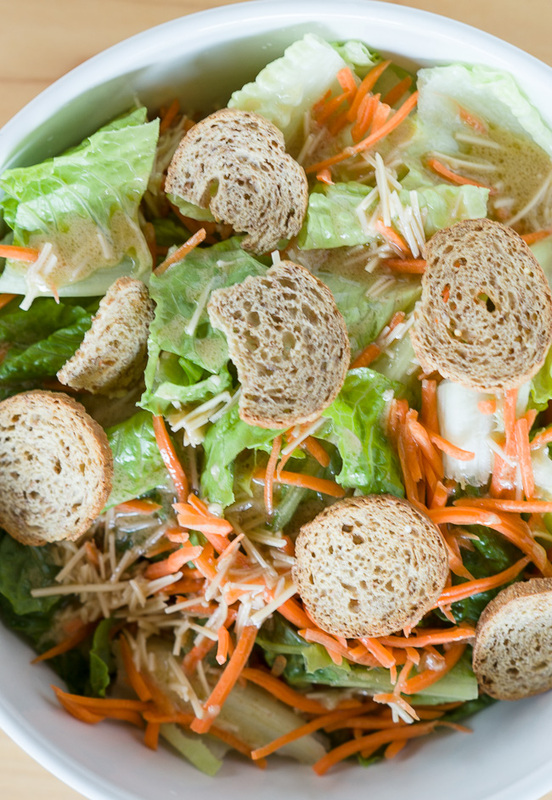 Toss the dressing together with the romaine and carrots, then top with bread crisps. This entry was posted in Italian, Salads and tagged carrots, dressing, romaine, salad.